Trelevate’s leadership team boasts a track record of success with Fortune 500 brands such as AT&T, Time Warner, Sprint, UPS, Constellation Energy and more. By leveraging our industry-leading expertise in sales strategies, we make it easy for you to increase your results and the speed to market. With extensive hands-on sales management and recruitment experience, we’ve thought a lot about the best practices needed to excel. But we think the real secret to success is finding the right people. We prepare our full-time sales professionals to be your brand ambassadors in the field. They strive to increase revenue, enhance brand awareness, and nurture long-term relationships. In an era of increased specialization, enlisting Trelevate as your outsourced sales partner simply makes sense. We’re often asked about the benefits of partnering with an outsourced sales company like Trelevate. Our clients have come to expect two important benefits: speed-to-market and cost savings over FTEs. Trelevate has effective recruitment and management processes already in place. Through our Career Development Program (CDP), we educate and enable our team members to develop their unique abilities. In this atmosphere – where growth and excellence are the norm – our clients benefit from a culture that supports strong go-to-market resources, sales speed, precision, and scalability. In the time it takes for most businesses to place a recruitment ad, interview, hire, and train a candidate, Trelevate can have an experienced sales professional in the field, ready to go! These professionals are quick to produce measurable results for your business, allowing you to hit your sales goals in record time. Factor in the cost of benefits, equipment, and turnover and you can see how working with Trelevate can quickly impact your bottom line. In short, while Trelevate focuses on your sales success, you can focus on what’s important, your business. Are you in need of a fresh sales approach?  Contact Trelevate today to learn how we help take businesses to the next level.